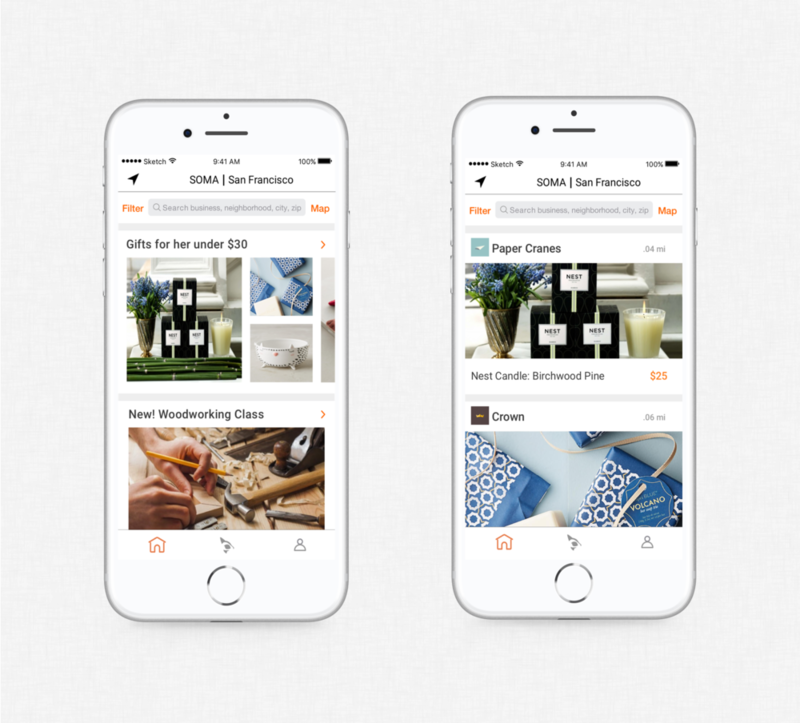 Fawn is an ecommerce app for people to find local shops and events within their proximity. They needed a way for users to quickly find products of interest to increase retention. Before diving into the process, here's a look at the original home feed and the redesigned version. I will go through our approach and design decisions below. Our team hypothesized that redesigning the home feed would allow users to discover their products of interests easier and faster, leading to a greater number of purchases. I reviewed the current IA of the home page and filter options (shown below). The existing filter button worked for users who knew exactly what they were searching for, but was too specific for the new user looking to browse. After testing several iterations of lo-fi screens, we decided to explore the two screens below that proved most successful in increasing retention. The biggest differentiators between the two versions is the second filter and the bottom navigation in Version A. Users liked the second filter, but the team did not have the technical resources to implement for this version. The additional icons for the bottom navigation proved to be too overwhelming at this early stage of the product. Considering the pros and cons of each design, we ultimately moved forward with Version B for the final design. The screens below show the user flow between the home page and product feed, along with notations for the decision decisions we made. Check out the full prototype here. I learned the importance of testing with users early before honing in on one hypothesis. We originally hypothesized that redesigning the onboarding experience would address users' grasp of the app's value proposition. However, it was only after we tested lo-fi mockups with users that we found the additional onboarding steps to be cumbersome and unhelpful in conveying value proposition. Moving forward, I will form multiple hypothesis and test with users earlier in the process.